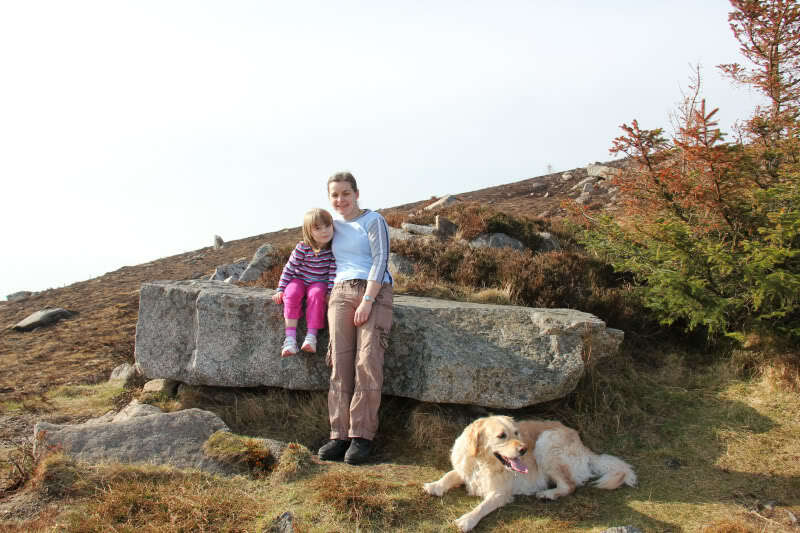 The forecast for today was pretty-good, so we set off to ascend Becky’s first Corbett. 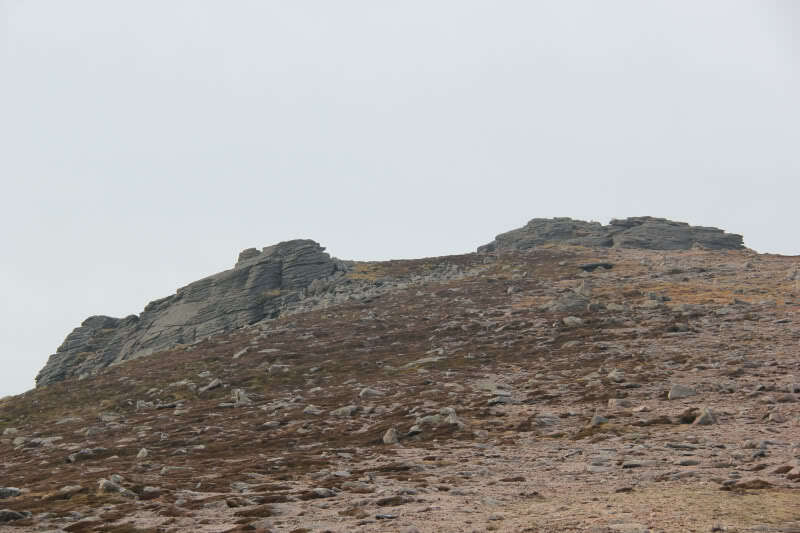 I had a few potential Corbetts in mind for today, but opted for Ben Rinnes – a fine Corbett visible from across much of Aberdeenshire and Moray and also our closest-to-home Corbett. 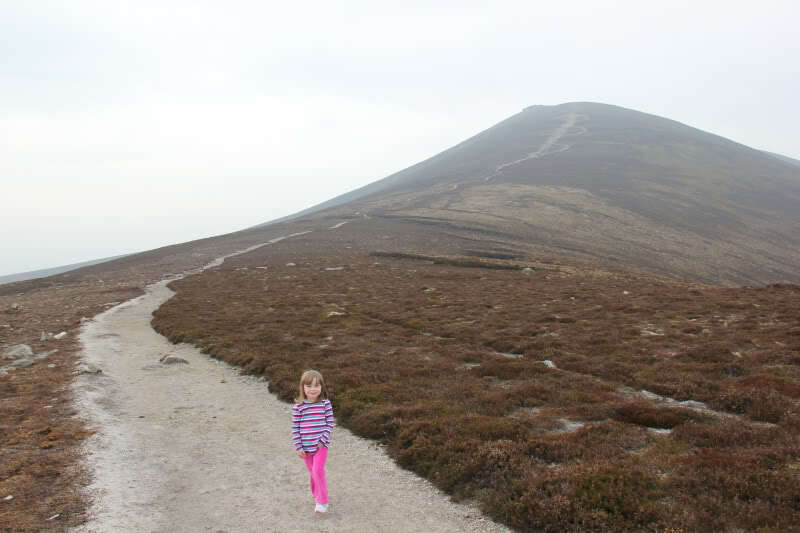 This was certainly Becky’s biggest hill attempt to date – almost twice as much ascent as previously attempted. Would she manage it? We parked at the roadside beside the small car park, as the car park was already full. 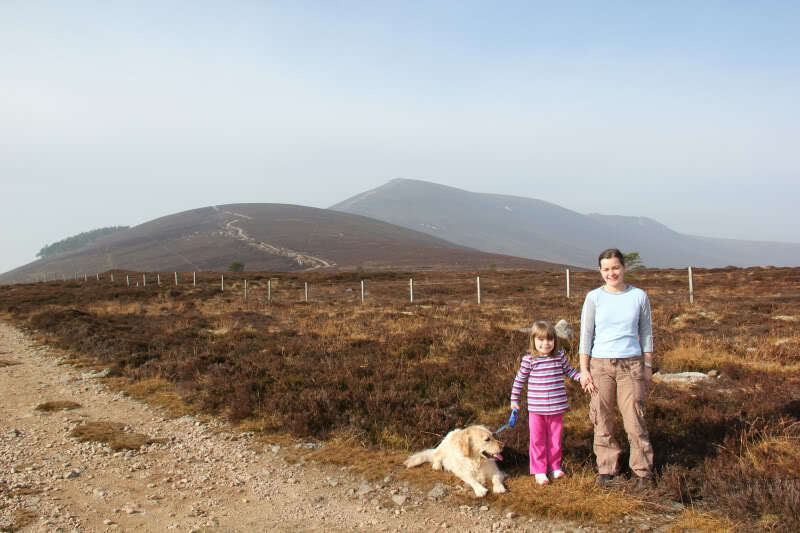 Becky and Carole set off ahead of myself and Beinn. I was the Sherpa today, carrying an assortment of clothes, food and four litres of water. 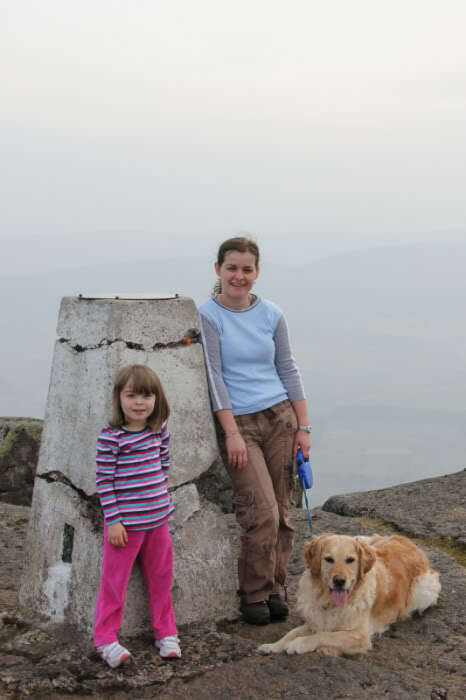 Becky and Beinn were joint expedition leaders . 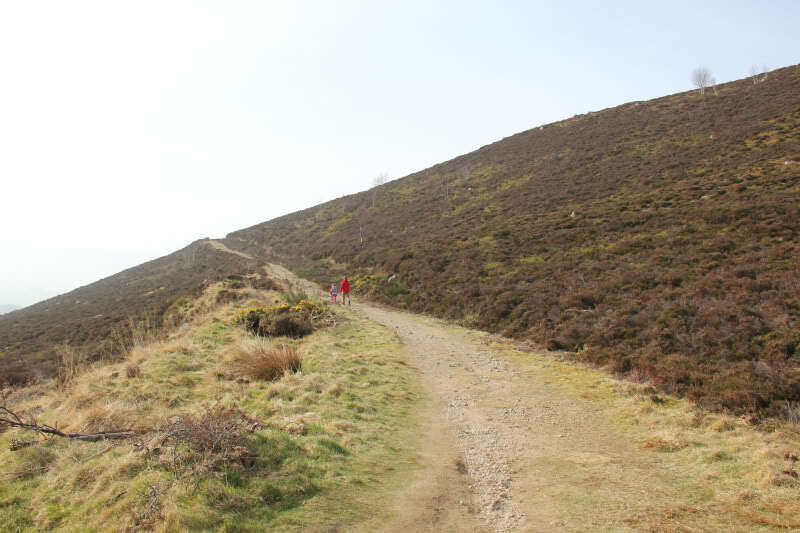 It didn’t take long to ascend Round Hill. 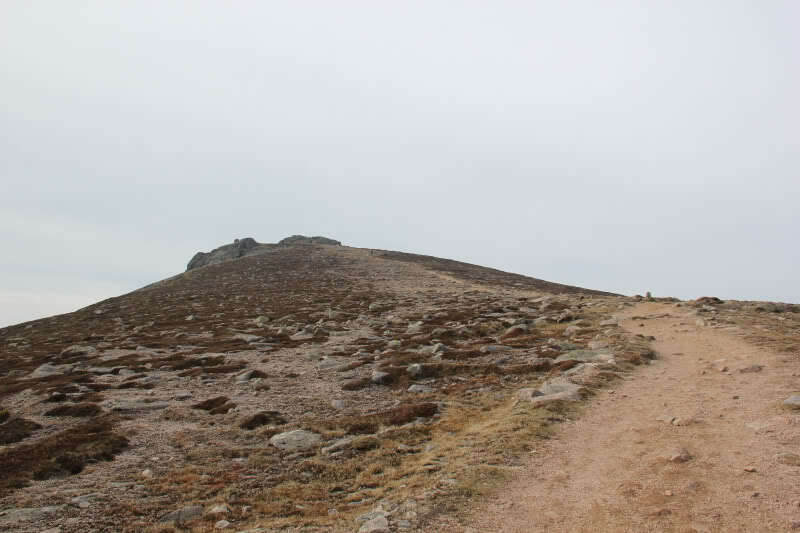 The path was not as good as I remembered it to be, from my previous ascents of Ben Rinnes in 2006 and 2002. Lots of stones just dumped on the track in an attempt to prevent erosion. It was already quite warm, so all jackets were disposed of into the Sherpa’s pack and we were again on our way. We stopped for our first of several breaks about half-way up Roy’s Hill. 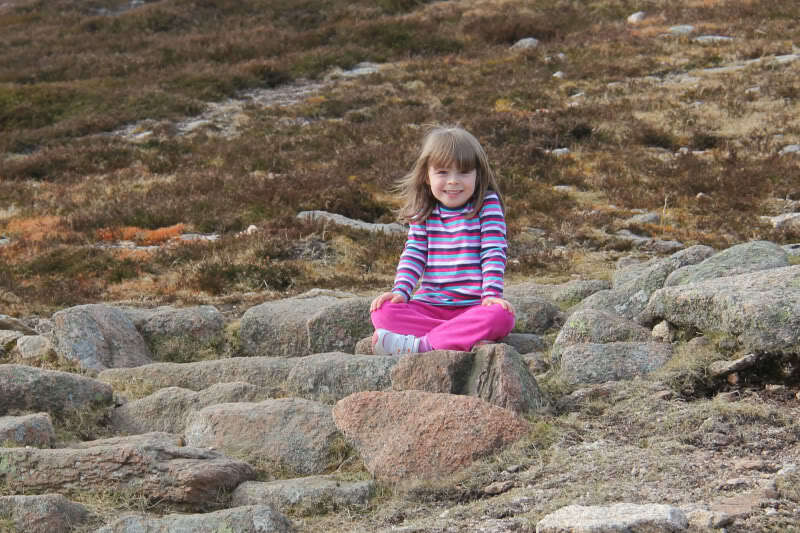 Our next wee sit-down was at the top of Roy’s Hill. 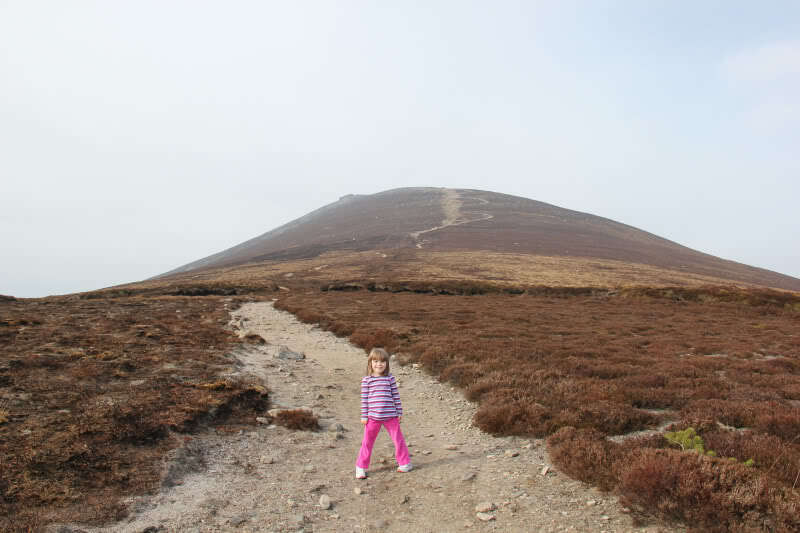 Great to have all day to just wander slowly up the hill, without pressing-on to ascend further hills. Also nice to ascend in trail shoes instead of boots. 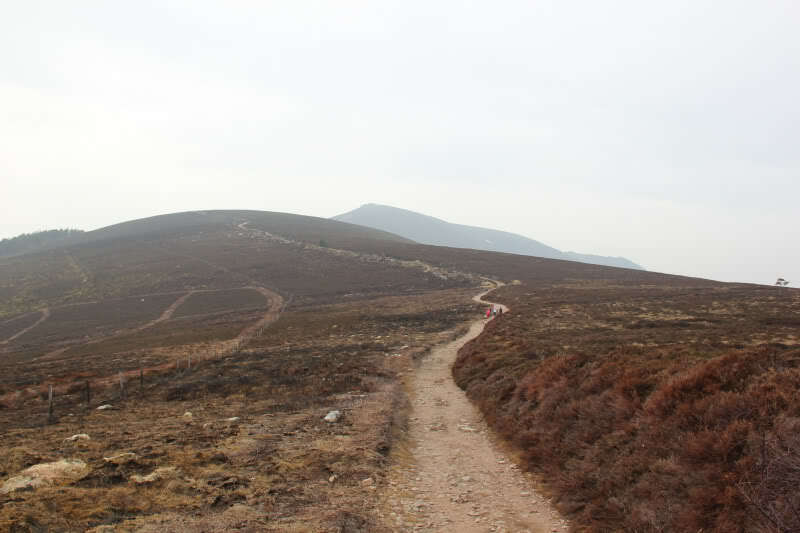 The path improved considerably as we ascended from Roy’s Hill towards Ben Rinnes. 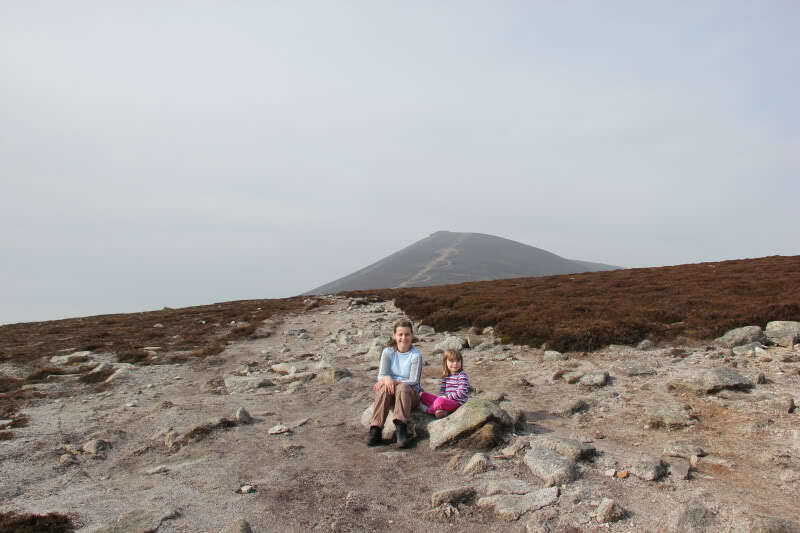 It was nice to look back and see Little Conval and Meikle Conval – both Sub2000ft Marilyns. This was about our only view today, as the mist did not lift. During the ascent, I asked Becky several times how she was coping. 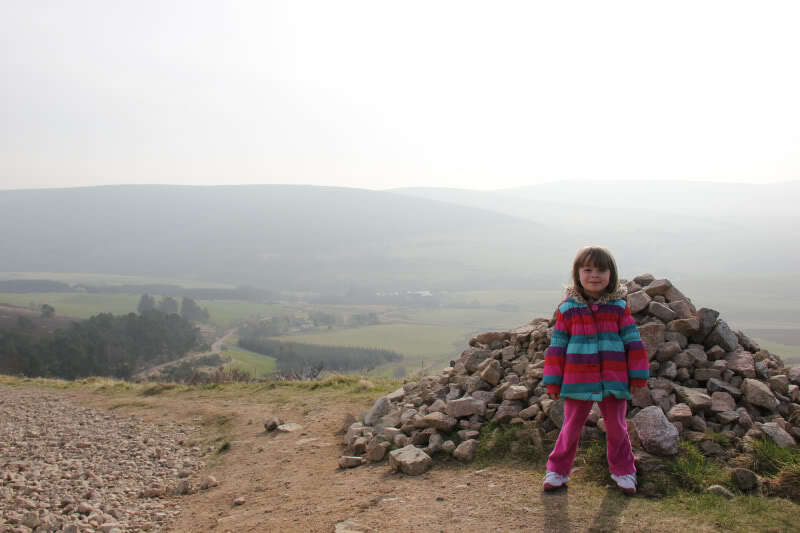 She was "Little Miss Determined", over 700m high and still doing fine . 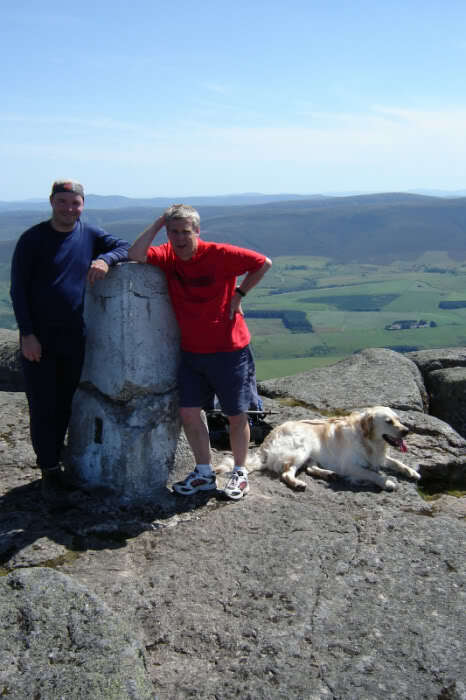 By the time we reached the final stretch to the summit of Ben Rinnes, Becky was starting to tire but she continued on and managed all the way to the summit, and all the way back to the car, unassisted. Not bad for a five-year-old. 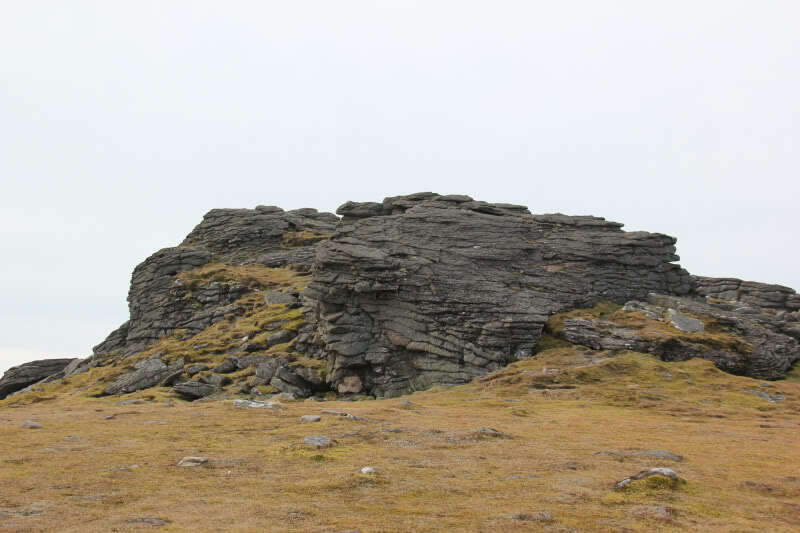 On reaching the summit area, we first visited the trig point and then all visited the actual summit – the tor circa 10m away from the trig point. 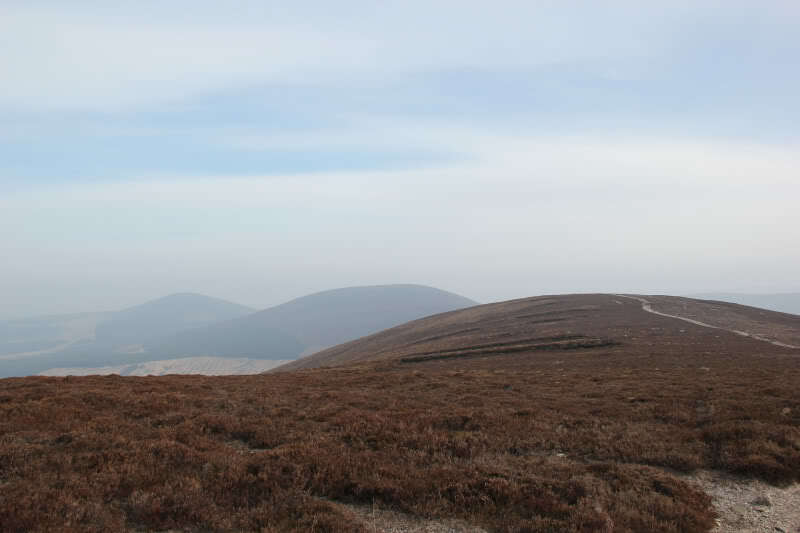 The views today were pretty-much non-existent, which was a little disappointing. However, at least the mist kept the temperatures lower. 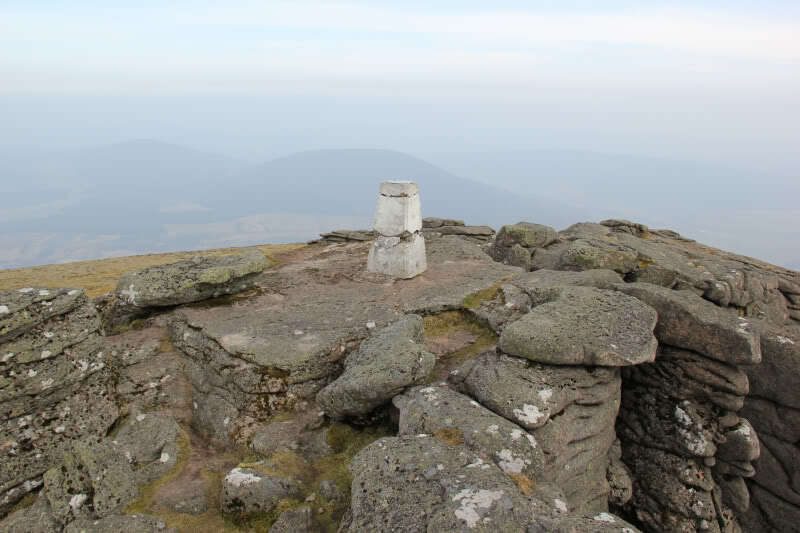 The trig point now has a small toposcope mounted on it. This wasn’t there on my previous ascent in 2006. 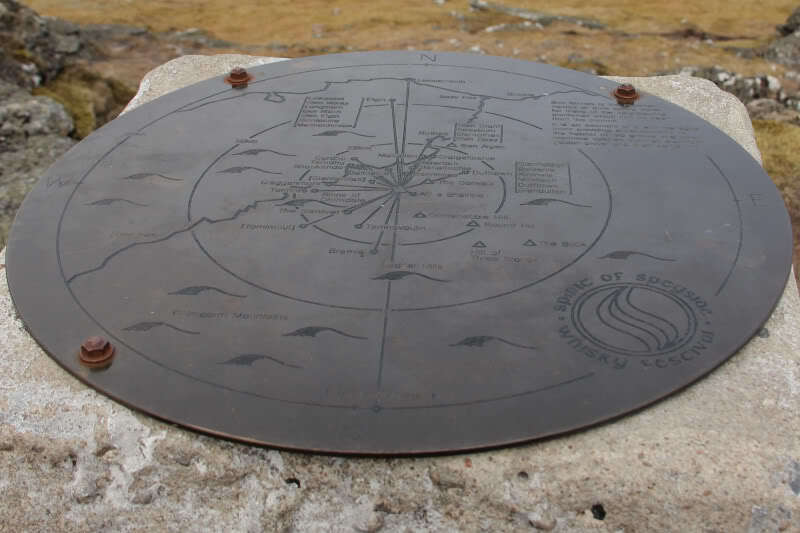 Quite a nice wee toposcope, but I think they should have used nuts/bolts that wouldn’t rust. 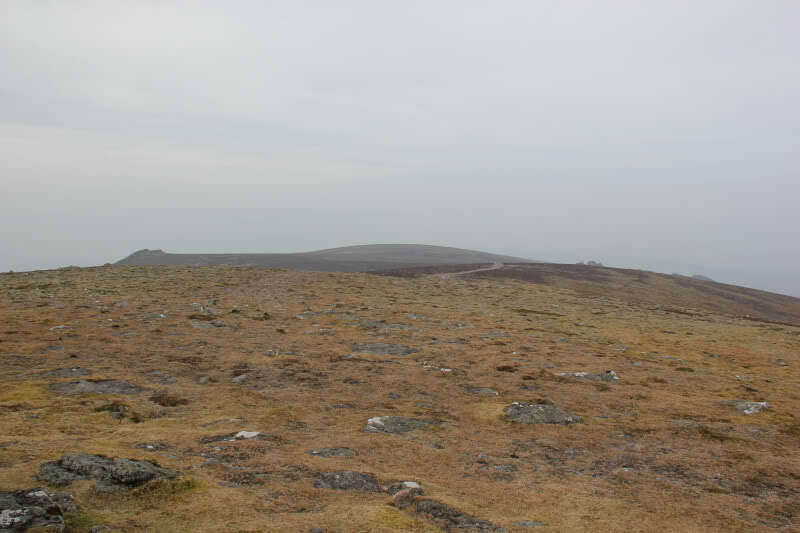 After visiting the summit tor, we stopped for lunch, spending around 20 minutes at the summit. The descent was much quicker than the ascent, with Becky managing the full descent, under her own steam, in just 1Hr 15Mins. During the descent, numerous hill walkers stopped to speak with Becky. Great day out. 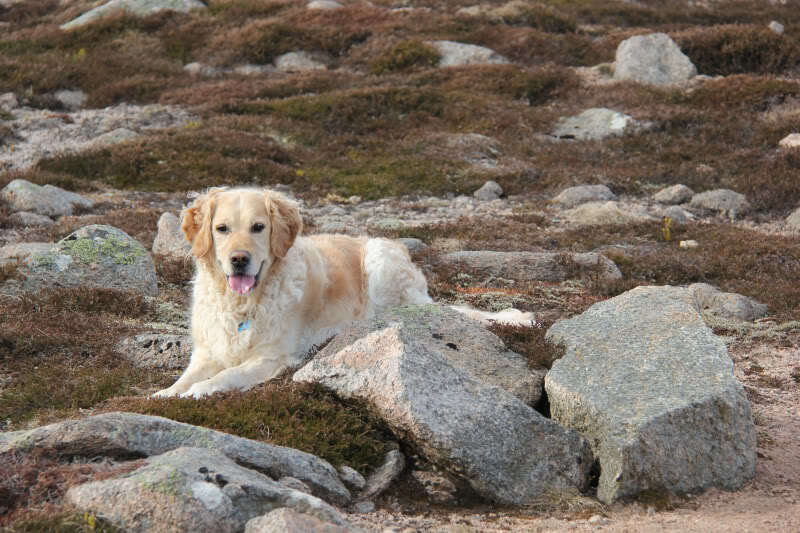 Munro number one might not be too far off .